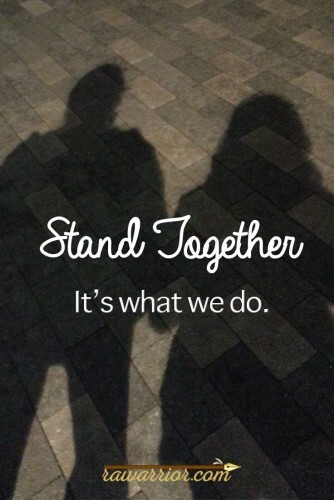 How do we stand together? The next installment of the same hearing about Roo’s health and well-being is Friday. I’m not able to share details, but the decisions before the court are crucial for my son. As I write this update to you, it feels like the Friday the 13th movie series. Is there really one more? Weren’t the past ones bad enough to last? True, I teach Roo homeschool, wash his clothes, fix healthy meals, and manage his health problems and the effects of everything we’ve been through. I keep him involved with friends, youth group, and extracurricular activities. And I do all of the other things a disabled single parent has to do. At the same time, it has also been like a part-time job to respond to this stressful legal case for the last two and a half years. Mostly, I face all of this alone, day to day. But that’s just how it feels. Others actually stand together with me. A recent experience inspired me. On a Sunday morning, I stood at the communion rail between my pastor’s wife and my dear sweet eleven-year old friend, her granddaughter. Of course, most people kneel, but I can’t kneel; and that’s fine. Suddenly someone appeared next to me. It was my pastor standing between his kneeling wife and me. It seemed normal enough. A couple of days later, I learned the extraordinary backstory. He does come with us to every court hearing. In the legal case, we have made it this far because of friends and family that have stood with us, helping pay legal costs, keeping Roo happy during many long hearing days, and sustaining us with prayers and encouragement. I hate being in this position, but I believe I’ve only done what I have had to do for my son. If you are able to help with legal costs, please make a donation to my Uncle Sam’s Go Fund Me page. If you pray, please pray for us. Please also share the donation link with friends on social media or through your email. No one wants this to be over more than I do. 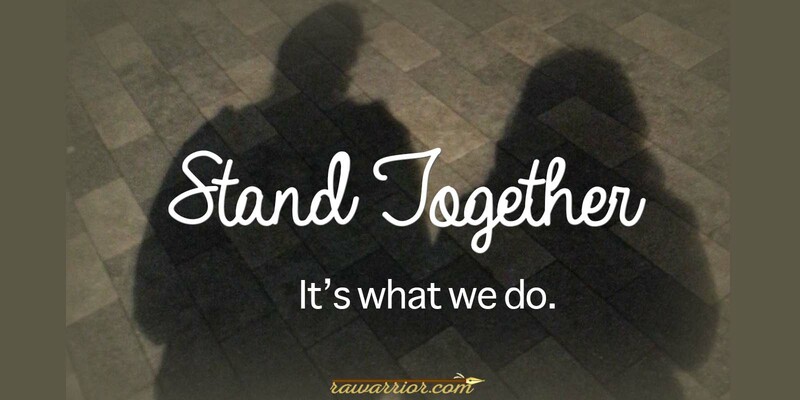 There are so many other ways I want to spend my time and energy to stand together with you. Thank you to the many, many of you who have already helped. Iwant to thank you for all your work. I am struggling with this now into my second year of RD. I did not have good results from Humira and enbrel is not much better. Waiting to see what’s next. It’s so good to hear from you Kelly! I read your years and years worth of blogs all the time. I am relatively new to the site and so very thankful. I pray for your success and continued endurance with your personal struggles. I marvel at your strength I really do. Sending hugs and positive vibes. I stand with You! More importantly, I pray with a thankful heart for You. God has a plan, in that we put our trust! God Bless You and Roo ! You are ever in our prayers, as you know. What you may not know, is that your name and your needs are brought up frequently at our monthly RA Support Group meetings. There are SO many people who love you and care about you, and want nothing but good for you and Roo. So, please, be assured of our love and care. The Ol’ Curmudgeon has many grumblings about your situation, and how it parallels mine of 40 years ago. He is confident that no matter the dollars, and despite your RD, that things WILL turn out well in the end. It took us years to work it all out, but with the support of our friends and Himself’s family, we managed. Just wanted to check in and say hello and let you know I am thinking about you and your family.